Tool steel, with is a carbon and alloy steel that offers distinctive hardness, abrasion resistance, and other properties that make it popular for the manufacturing of hand tools, machine dies, and other tools. Tool steel is commonly used in injection molding where resistance to abrasion is an important criterion. Its toughness also gives it non-deforming properties, allowing it to hold a cutting edge at various temperatures. How Is Tool Steel Manufactured? With a carbon content between 0.7% and 1.5%, tool steels are manufactured under carefully controlled conditions to produce the required quality. The manganese content is often kept low to minimize the possibility of cracking during water quenching. However, proper heat treating of these steels is important for adequate performance, and there are many suppliers who provide tooling blanks intended for oil quenching. Manufacturing tool steel can be done in several ways including: Pprimary melting, electroslag melting, primary breakdown, rolling, hot and cold drawing, continuous casting, powder metallurgy, and osprey process. Tool steel grades are made specifically for different applications so it's good practice when selecting a grade to ask yourself a few questions first. For example - is a keen cutting edge necessary, as in stamping dies, must it withstand impact loading and service conditions encountered with hand tools such as axes, pickaxes, and quarrying implements. 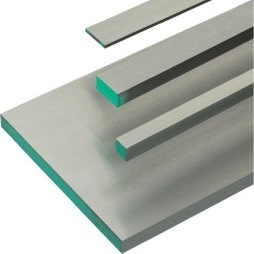 Edge temperature under expected use is an important factor of both composition and required heat treatment. Higher carbon grades are typically used for such applications as stamping dies, metal cutting tools, etc.